The room is very comfortable, with great space, facing the sea, amazing view, always clean bathrooms, great shower. Amazing!! Excellent. I cannot say enough good about this place. Perfect location. Friendly, helpful hosts. Delicious food at the restaurant. Amazing view from the room! Excellent guest services from the staff. Pedros was very kind in helping us to rent a car. They were really friendly and relaxed, the food was great too! 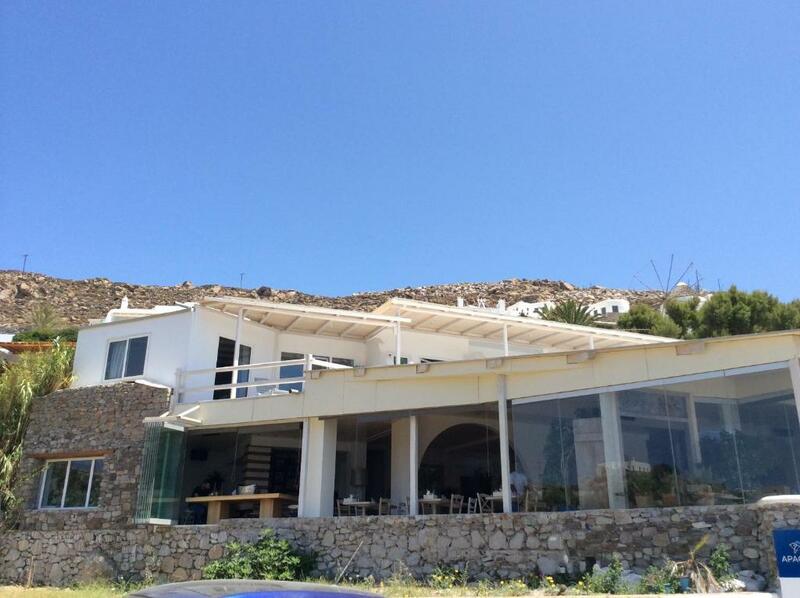 The location, the view, the food at the restaurant and host..
Room, terrace and bathroom were big and lovely. The restaurant bellow the apartment is amazing! The view from the balcony was beautiful. 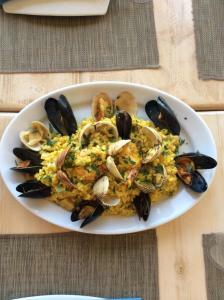 The food and service at the restaurant was exceptional. The staff in the hotel could not have been nicer or more accommodating. The location was perfect for us. Away from the crowded city and facing the ORNOS beach view. The apartment was clean and tidy with spacious balcony to enjoy the sea view with comfortable beach beds. The bathroom was spacious and well equipped. 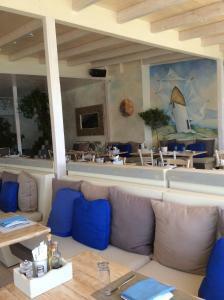 And one of the best restaurants in Mykonos just below the apartment was a good thing to have. The food from the restaurant is delicious, especially the fish..!! Yummy...!! The beach is just a walk away and not so crowded. The public transport is also just 10 minutes walk, which you will not mind walking. The host is very nice and helpful, he helped us with the missing things with kitchen very promptly. Sea sight balcony was amazing, restaurant under the hotel had quality food and the employees were all very kind. 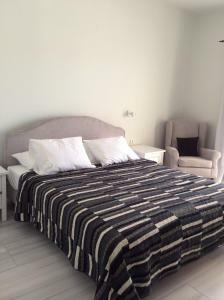 Just 1 minute walk till the gorgeous clean Ornos beach and 10 minutes from the airport by taxi. Overall it was a great experience. 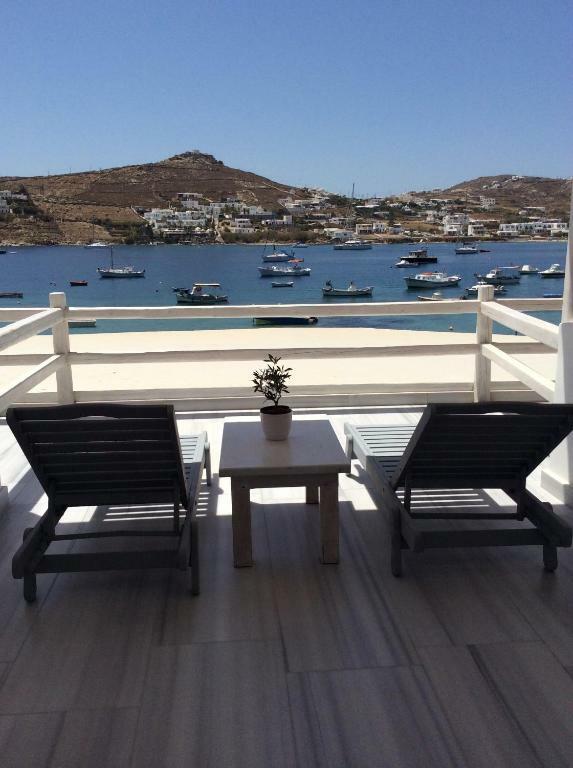 Lock in a great price for Sailinn Mykonos – rated 8.4 by recent guests! 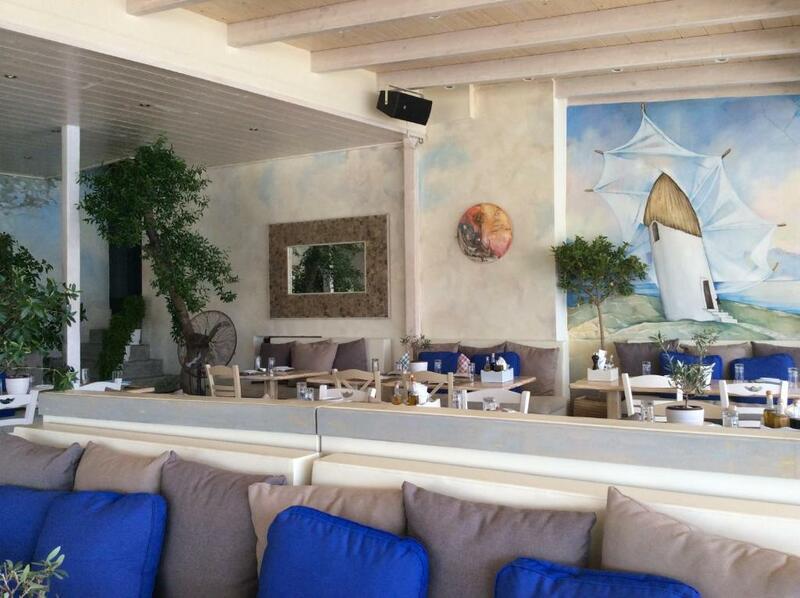 Located 650 feet from Ornos Beach, Sailinn Mykonos offers a restaurant and bar. 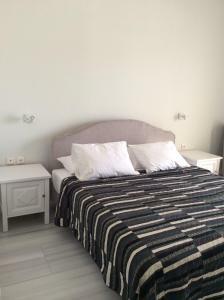 It features self-catering accommodations with free WiFi and furnished terrace overlooking the Aegean Sea. Featuring elegant decoration in white hues, all accommodations types at the Sailinn Mykonos have a TV and air conditioning. Each has a kitchenette with a refrigerator and cooking facilities. 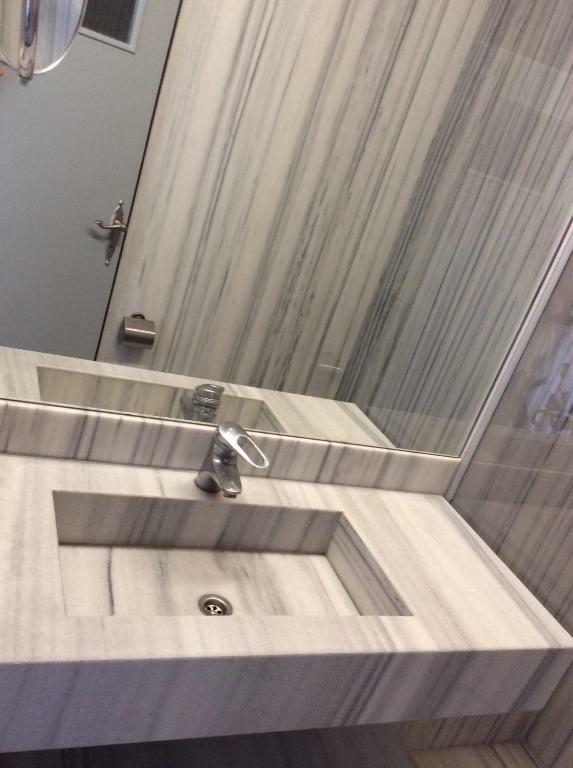 Featuring a shower, the marble bathroom comes with a hairdryer and bathrobes. Mykonos Town is within 2.5 mi. Mykonos Airport is located 1.2 mi from the property. 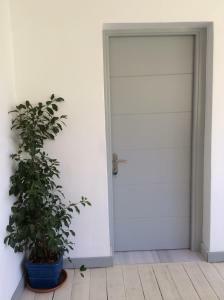 뀐 Located in the top-rated area in Ornos, this property has an excellent location score of 8.9! When would you like to stay at Sailinn Mykonos? 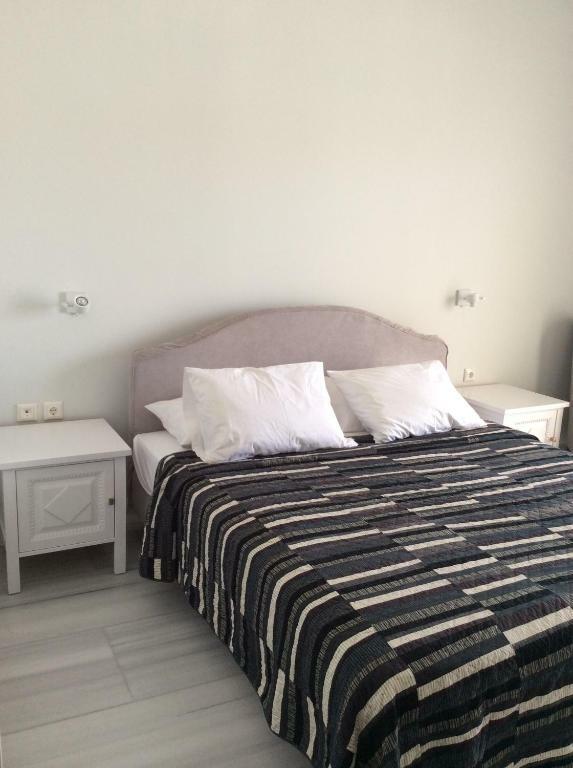 656 feet from the beach, this studio features elegant decoration and furnished terrace with sun loungers overlooking the Aegean Sea. Includes kitchenette and free WiFi. 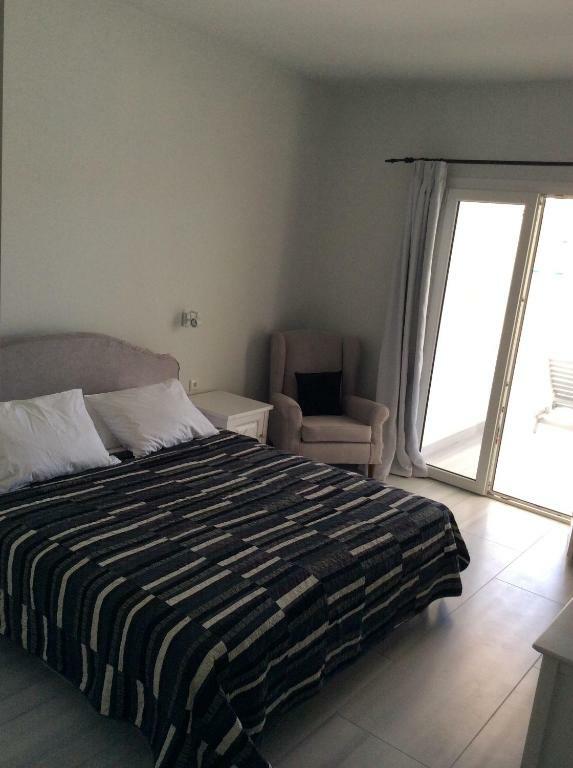 656 feet from the beach, this spacious apartment features elegant decoration and furnished terrace with 4 sun loungers overlooking the Aegean Sea. Includes kitchenette and free WiFi. House Rules Sailinn Mykonos takes special requests – add in the next step! 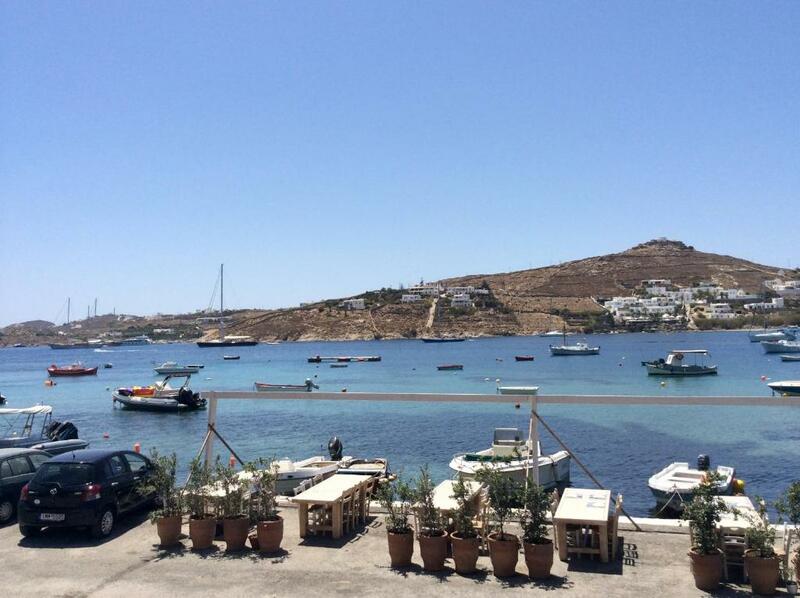 Sailinn Mykonos accepts these cards and reserves the right to temporarily hold an amount prior to arrival. In the beginning the reservation was not found by the staff it was solved more later without complication. We thought was a problem for the application. For sme strange reason we saw savage ducks at the entrance of the place. The Wi-Fi was not that great..was at times almost not there. I liked the location of the hotel near the beach. The host was very grumpy and we did not receive a warm welcoming at all. The room we were originally allocated had a malfunctioning A/C. A missing blind and the sheets had sand in them! So not a great start. However the staff were super helpful in trying first to sort out the problem with the A/C and when finally it was agreed it was faulty we were moved to a room where everything worked. The rooms were clean but not spotless. It was ok. We only stayed one night as we were flying out the next morning - both my husband and I questioned the value of the 'room only' price. The wifi could be really really slow at times, as you will be sharing the hotel public wifi.